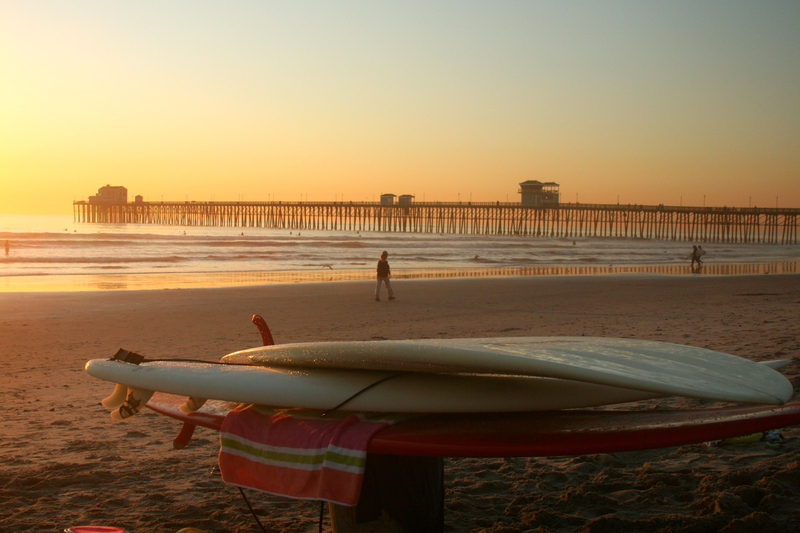 A San Diego sunset is only one of the reasons to visit in 2013. Photo courtesy of Joanne DiBona. Thank goodness we’ve all survived the “end” of the Mayan calendar, because 2013 is shaping up to be a spectacular year to visit San Diego. From a new SeaWorld-branded waterpark to the return of Ron Burgundy, read on to discover all 13 reasons to visit San Diego in 2013. 1. Top 10 for Almost Everything! San Diego ranked sixth overall in online “America’s Favorite Cities of 2012” survey by Travel + Leisure Magazine. Besides placing in the top 10 of America’s best cities, San Diego took several number one spots, including number one best city for 4th of July, Spring Break and Valentine’s Day. In spring 2013, SeaWorld Parks & Entertainment will open Aquatica San Diego, a SeaWorld-branded waterpark, located in San Diego’s Chula Vista neighborhood. Aquatica San Diego will combine waterpark thrills with marine park habitats, allowing guests to interact with animals like dolphins, stingrays and flamingos as they zip down fun-filled water slides. Opening April 5, 2013, treat your family to the ultimate LEGO® experience at the all-new LEGOLAND Hotel at LEGOLAND® California Resort. From the moment you arrive at the dragon-guarded entrance, you’ll be delighted by interactive LEGO features, themed play areas, family pool and kid’s entertainment! In May 2013, the San Diego Zoo will be opening the Australian Outback exhibit, slated to be the best koala exhibit and care center beyond Australia’s borders. For the past 30 years, the San Diego Zoo has the largest colony of koalas and the most koala births – 123 joeys! – outside Australia. In summer 2012, the San Diego Zoo Safari Park unveiled a new aerial adventure, Jungle Ropes Safari. Guests can climb and swing through three ropes courses offering more than 30 challenging elements such as rope bridges, ladders and moving platforms. In 2013, the USS Midway Museum will add additional languages to their self-guided audio tour to meet the needs of increasing international visitors to the museum. The audio tour, narrated by former Midway sailors and included with every admission, will now be available in English, Spanish, Japanese, French, German and Mandarin Chinese. From March 7-10, 2013, the Coronado Cultural Arts Commission presents an island-wide celebration of The Wonderful Wizard of Oz author L. Frank Baum who wrote several Oz books in Coronado. Festivities include complimentary advance screening of Disney’s new film, Oz the Great & Powerful on March 7 at Coronado’s Village Theatre among other island activities. Now through March 10, 2013, the San Diego Natural History Museum in Balboa Park is presenting the traveling exhibition Chocolate, where visitors can explore the origins of chocolate consumption and discover how chocolate was transformed from a bitter drink of kings into the indulgence we love today. 9. Ripley’s Believe It or Not! From February 1 – December 31, 2013, test the boundaries of your reality as Ripley’s Believe It or Not! takes residence at the San Diego Air & Space Museum. Each spring, the Anza-Borrego Desert State Park turns into a wonderland of color when wildflowers, nourished by winter rains, burst into bloom. The exact timing of the blossoms varies year-to-year based on precipitation patterns, but 2013 is bound to be beautiful! New restaurants in downtown supply more ways to satisfy the diverse traveler, whether craving south-of-the-border fusion at The Blind Burro, American fare with a twist at Chaplos, or phenomenal seafood at Spike Africa’s Fresh Fish Grill & Bar. 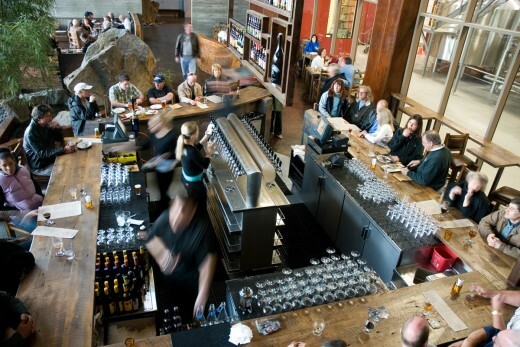 Scheduled to open Spring of 2013, the San Diego Brew Project will highlight San Diego’s love and pride of local craft beer and become the first all-local craft beer bar with 28 taps pouring everything from major juggernauts such as Ballast Point and Stone to the newer, but no less delicious, players in the game. On December 20, 2013, Ron Burgundy returns when Anchorman: The Legend Continues opens nationwide, but there is no better place to see it than in San Diego. Stay Classy, 2013. 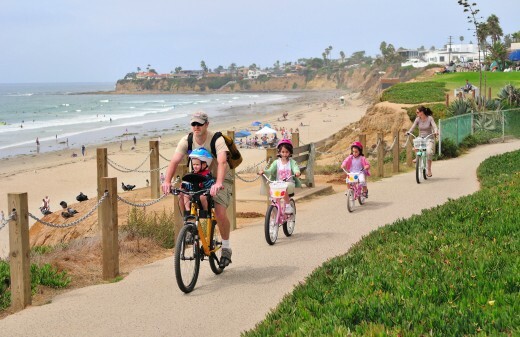 Bike the Boardwalk: Biking, skating, or strolling the 3 ½ mile boardwalk running from North Pacific Beach to South Mission Beach is a quintessential San Diego activity, and a great way to enjoy the ubiquitous New Year’s “I will exercise more!” resolution. At the north end, the boardwalk runs along a 75-foot bluff until Crystal Pier/Palisades Park. The park supplies a natural resting point, looking out over the ocean, with great places to brunch and shops to explore. Continuing south from Crystal Pier, the boardwalk becomes level with the beach as it moves by charming beach rentals, Hamel’s Surf Shop, and Belmont Park, featuring the historic Giant Dipper Roller Coaster and the Wave House. From Belmont Park to the end of South Mission Beach, the boardwalk becomes more peaceful and subdued, eventually ending in a park with some excellent beach volleyball courts. Take a Craft Beer Tour: With over 60 breweries in the area and having recently been cited as a “sunny heaven for suds lovers” by the New York Times, San Diego is quickly gaining recognition as one of the hottest craft beer destinations. It looks like 2013 is the perfect year to see what all of the fuss is about by joining one of the brewery tours offered by companies such as Brew Hop, Brewery Tours of San Diego and San Diego Beer and Wine Tours. Best part of joining a tour? They provide the designated driver, insuring a safe and fun time for everyone. Enjoy the fresh air and clear skies sailing Coronado Bay. 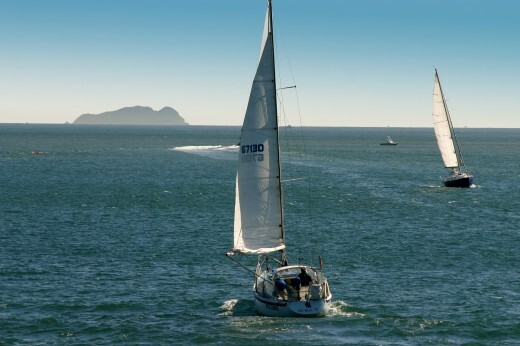 Enjoy a Sailing Excursion: From winter whale watching to America’s Cup race simulations, companies such as Next Level Sailing, Sail San Diego, America’s Cup Sailing San Diego, and San Diego Sailing Tours provide the perfect sailing experience for everyone, from the novice to those with the most stable sea legs. See the very first Mariachi Opera with the renowned Mariachi Vargas de Tecalitlan. Photo courtesy of San Diego Opera. Mariachi Opera: Never heard of a Mariachi Opera? You aren’t the only one! 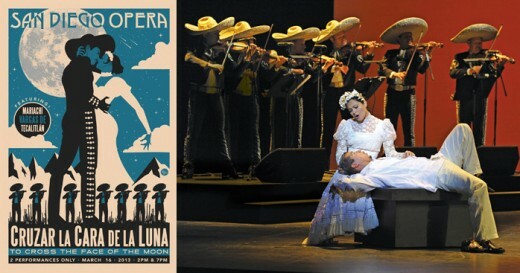 The renowned Mariachi Vargas de Tecalitlan, known as the World’s Best Mariachi, take the Civic Theatre stage on March 16, 2013 for the first mariachi opera, Cruzar la Cara de la Luna (To Cross the Face of the Moon). This bi-lingual work follows three generations of a single family, spanning countries, cultures and customs, presented by San Diego Opera. 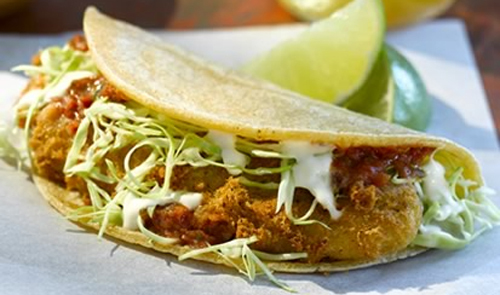 Rubio’s is just the tip of the iceberg when it comes to the variety of San Diego’s famous fish taco. The Best Fish Taco: Although it originally hails from Mexico, the fish taco has found a happy home in San Diego as a Taco Tuesday mascot and everyday local favorite. Ralph Rubio helped make it an institution when he opened his chain, Rubio’s Fresh Mexican Grill, in 1983, but the San Diego fish taco has more reinventions than Madonna. From taco truck to fine dining, everyone has their prefrence and finding your favorite is more about savoring the journey (so many tacos!) than arriving at the destination. To start you on your journey, here are some key jumping off points: South Beach Bar and Grille in Ocean Beach, El Zarape in University Heights, Brigantine Seafood in Coronado, Blue Water Seafood Market & Grill in Mission Hills, Tin Fish in Downtown. Do you resolve to visit San Diego in 2013? We hope so! In the comments below, tell us what you’ll be doing once you’re here.